Harrington & Richardson Model 949 “Forty Niner” 9-round, first model .22LR, 5.5” blue w/one piece walnut grips, single or double action revolver. Includes Brauer Bros / St. Louis H-30 leather holster. 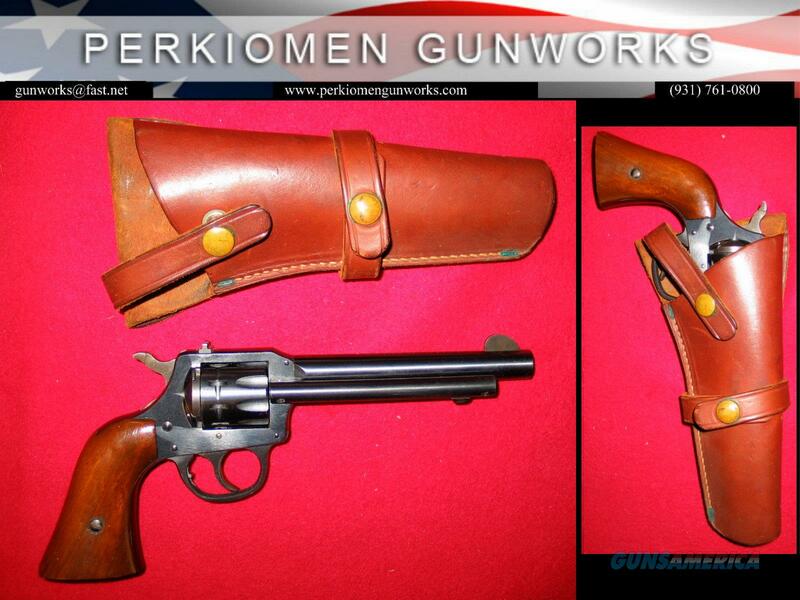 Gun & holster date 1964 and has been a personal gun since then!! Rate condition at about 90% - very clean and shows no real marks or wear other than some minor specking on frame bottom at serial number – see photos. +Insured S&H of $30.00 to your local FFL dealer for transfer. Alaska, Hawaii and Puerto Rico add $20.00 for a long gun as they have to be mailed – handguns are not extra.